Gandhi named after the Father of our Nation. Keller named after the inspiring Helen Keller. Kennedy named after John F. Kennedy -35th President of the United States. Naidu after Sarojini Naidu, the Nightingale of India. 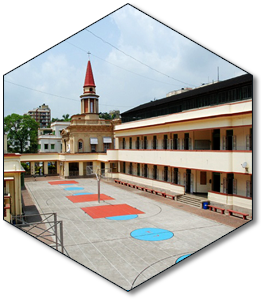 To encourage leadership skills in a democratic environment, there is a Student Council, constituted every year, with elected and appointed representatives from the students of class 12. These functionaries help the staff to conduct; various activities with efficiency and enthusiasm. They are ably supported by the twelve house mistresses, appointed from amongst the teaching staff. House Activities and Inter-House Competitions nurture skills and provide opportunities to showcase talent and build essential qualities of teamwork and confidence in the students. The House System encourages students to strive individually and collectively, to attain excellence in both qualities of character and co-curricular skills. It also fosters a spirit of friendship and cooperation between pupils of all classes.